So I went to baby shower recently, and one of the games was to guesstimate and cut a piece of yarn that will fit perfectly around the babymama’s belly. Since the yarn was destined for the trash, and of course I could not allow that, I got the brilliant idea to make a keepsake for her to remember the shower. 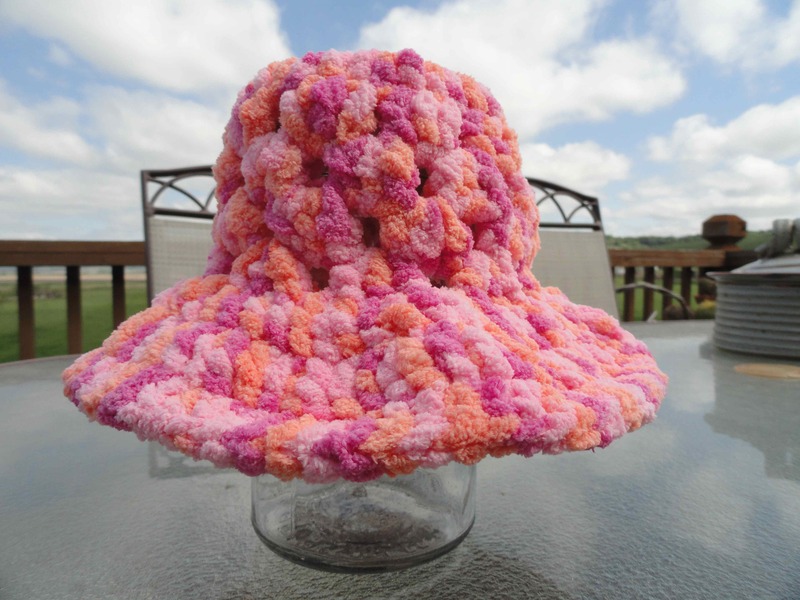 It was more difficult to decide what to make than I thought, and I must have looked through several hundred patterns before I decided to wing it. 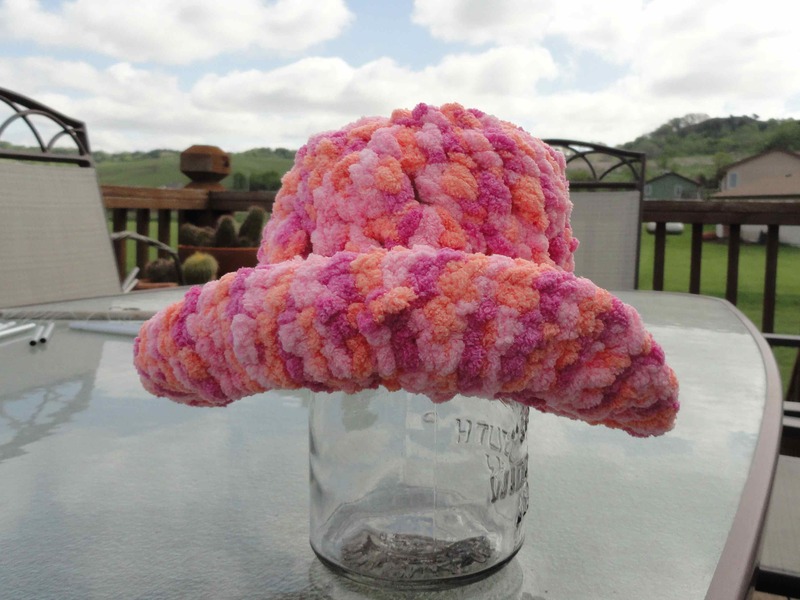 I tied it all back together and hid the knots inside the hat. 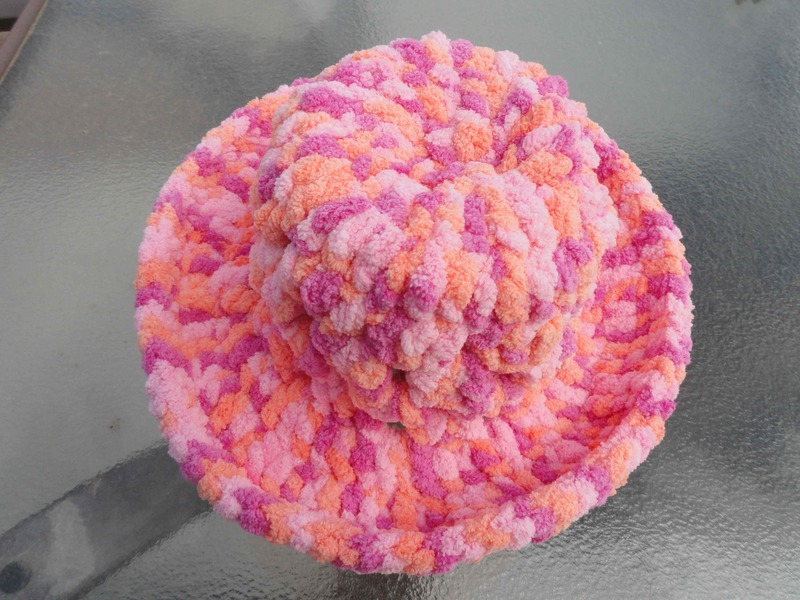 I loved the chenille yarn – it looked like sherbet and was incredibly soft. If you want to make one – check out this pin for some inspiration.